My new kitchen decor series continues today with my updated Mason Jar Spice Rack. I bet some of you out there belong to local facebook garage sale pages. There are so many of them, I can't even keep track anymore! And I almost never get first dibs on anything. Because I did happen to be the first interested comment on these vintage miniature Mason jars. I had been thinking about using some of these in my spice rack and, somehow, got lucky enough to stumble upon some just when I needed them! What luck! I used 4 of the Mason jars in my spice rack. 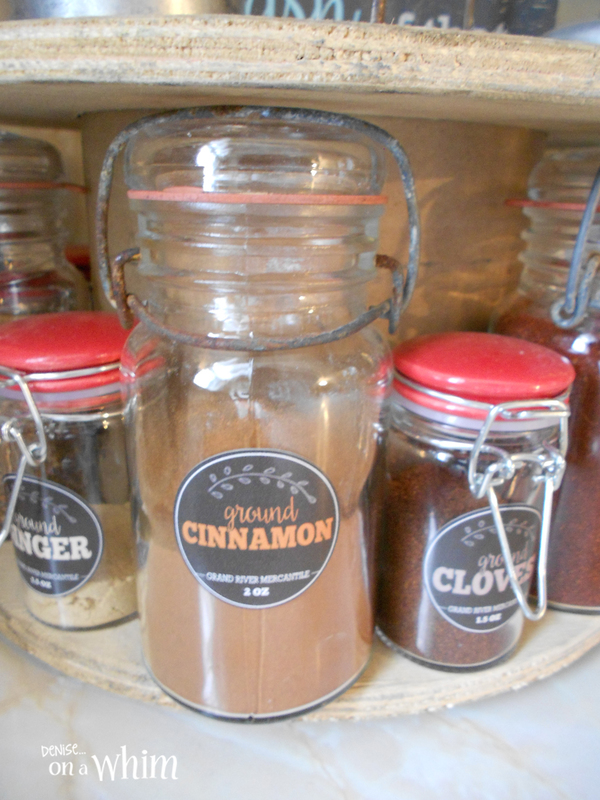 They're larger than the other jars you see here so I filled them with the spices I use more often. The smaller jars, with the red lids, came from World Market. I liked that they had the metal closures to coordinate with the vintage Mason jars. I made labels for each spice. 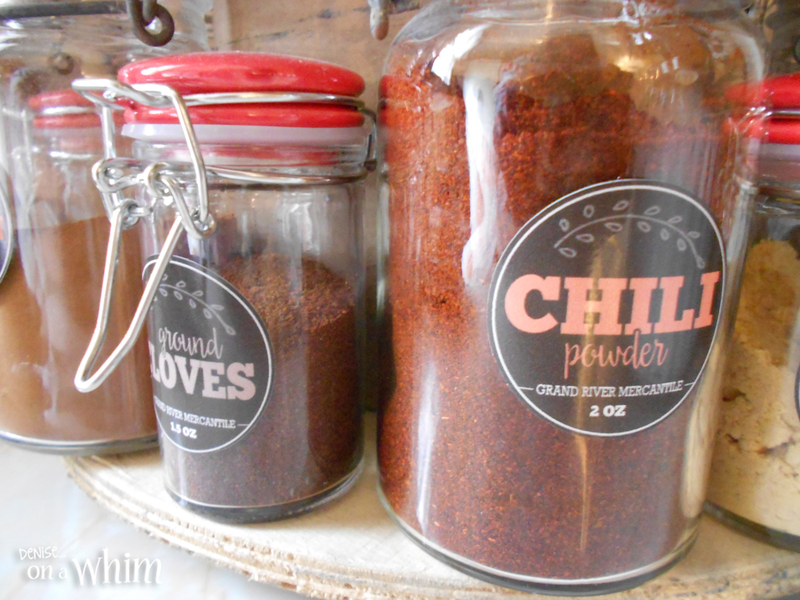 They match the labels I made for my Mason Jar Canisters, which are sitting next to my spice rack. Sitting atop the spool where my spices are stored, are some of my vintage utensils. I always grab vintage kitchen utensils when I find them for a good price so I have quite a little collection. This makes a great place to display some of them. I added a small 2x4 scrap sign to pull it all together. 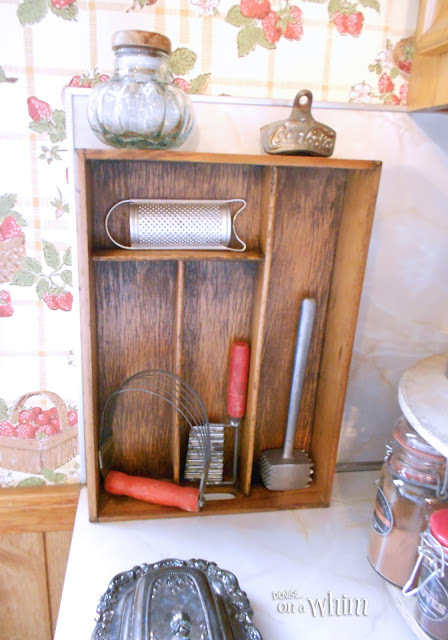 Right next to the spice rack, sits this old wooden silverware organizer that I grabbed at the thrift store. I scuffed it with sandpaper and stained it much darker than the original teak look it had. 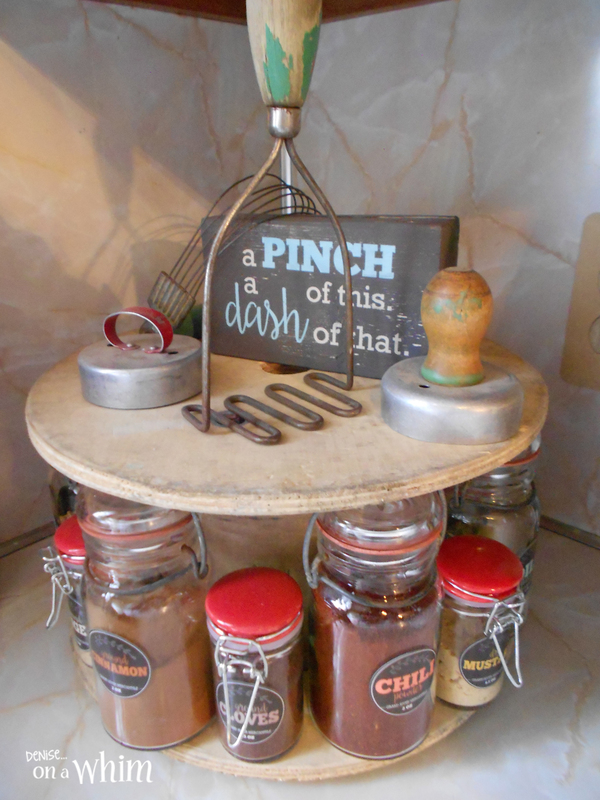 It makes the perfect little display box for a few more vintage kitchen gadgets! This little corner of my kitchen is complete and has a great vintage vibe going on that I'm in love with! I'll be back next week to show you another area that I've redecorated. Your comments make me smile :) 'Til next time! 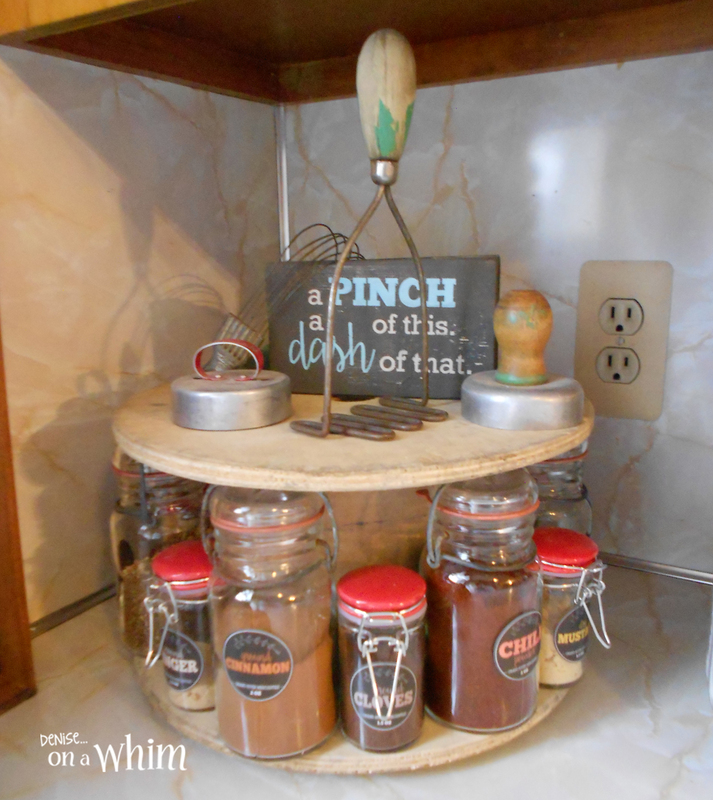 Spice Racks - These pull-out spice shelves can be used to place condiments, oils, and more. Versatile and accessible, these pull out spice shelves and racks can fit into any design. I love hearing from you and read all of your comments. They make my day! I'm sorry I can't reply to every one of them, but I sure do love reading them and appreciate every one!